On Tuesday October 4, the 145-mile-per-hour winds of Hurricane Matthew slammed into the Tiburon Peninsula, the southwestern spur of Haiti. The hurricane then brushed the eastern tip of Cuba and barreled through the Bahamas before continuing up the Atlantic coast of the United States. Baracoa in Southeastern Cuba, which is the oldest European- founded city in the Western Hemisphere, was heavily damaged and its agricultural hinterland suffered major crop losses. But reports so far are that no lives were lost thanks to the socialist government’s characteristically efficient evacuation operation. In the United States, at least 33 people were killed according to the latest reports. There were orders to evacuate in the U.S. states hit by the hurricane too, but in Cuba the authorities send in vehicles to fetch you from your home and take you to safety. But Haiti was badly hit, with over 1000 counted among the dead so far. Some coastal communities have been almost entirely destroyed, including the towns of Jérémie, Les Cayes, and Port Salut. Most deaths were caused by buildings or trees falling on people. Crops, supplies, and domestic animals are a near total loss. In addition to housing, much essential infrastructure – bridges, roads and as many as 178 schools – have been flattened or severely damaged. On top of the death and suffering caused by the hurricane, the threat of cholera and other water-borne diseases now looms. 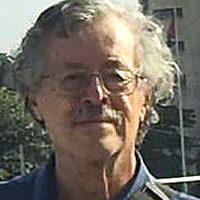 Not normally a common disease in the Western Hemisphere, the disease was accidentally reintroduced by Nepalese troops from the U.N.’s controversial “peacekeeping mission” in Haiti after the devastating earthquake of January 2010. 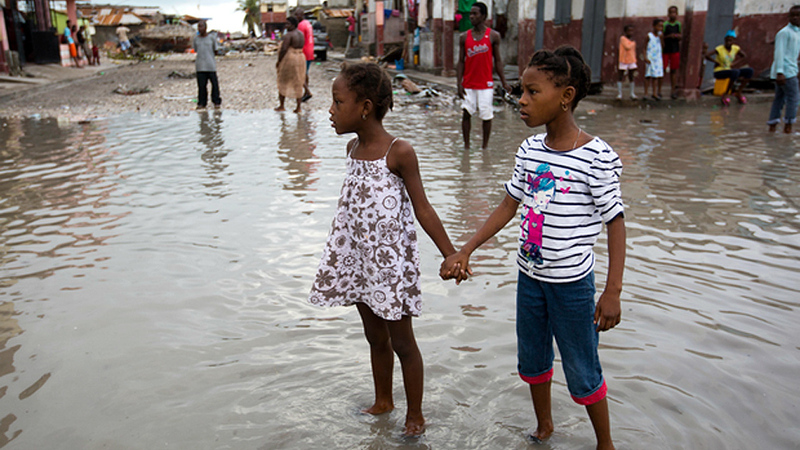 Contaminated water from their base spread to the Artibonite River, Haiti’s largest. The result has been the death of at least 10,000 people, with nearly 800,000 sickened. It is now feared that the floodwaters from the hurricane will spread the epidemic even more widely. The standing water will also provide prime breeding grounds for mosquitoes, which raises the danger of zika and malaria. Some sources say there have already been more than a dozen new deaths from cholera since the hurricane made landfall. Help is beginning to arrive in Haiti. Cuba, though itself badly hit, has activated the Henry Reeve Brigade of international health solidarity workers – the same unit that played a role in the recent Ebola outbreak in Liberia, Guinea and Sierra Leone in West Africa. When the hurricane struck, there were already more than 600 Cuban aid workers in Haiti, there since the 2010 earthquake. Venezuela, facing its own economic and political crisis, also quickly moved to send supplies and personnel to help. Other nations and public and private organizations are also helping, including the United States and the European Union. The Cuban and Venezuelan efforts are particularly notable, however, because the corporate-controlled media have hardly mentioned them. But the bigger problem is how the establishment media tends to leave out any mention of the reason why hundreds died in Haiti but perhaps nobody in Cuba, and relatively few in the United States. Some even manage to mention that the extreme poverty of Haiti is a reason, as well as the weakness of the Haitian state. But the “analysis” stops there. Major media tend not to ask two key questions: Why is Haiti so poor? And why is the state so weak in Haiti? The unsuspecting reader is left to conclude that Haitian people are just naturally poor: Poverty is part of their DNA, no doubt. Moreover, it is obvious that “those people” have no talent for running a government. It follows from this that we have to keep Haitian people from coming to the United States, for who wants a bunch of people who bring poverty with them in their knapsacks and don’t know how to behave within the context of orderly democratic institutions? Such talk comes on top of yet another panic about a prior round of Haitian refugees who are now making their way toward the U.S. from Brazil via Mexico. They had been allowed to settle in Brazil following the 2010 earthquake, but that country’s economic troubles and high unemployment are pushing many to leave. The U.S. Department of Homeland Security has announced a new crackdown, though immigrants’ rights groups are pointing out that the destruction from the hurricane and the cholera epidemic mean it’s a bad time to be deporting people back to Haiti. The answer to these two vitally important questions, unasked and therefore unanswered by the bourgeois press, requires an understanding of the history of Haiti – and especially of the relations between Haiti and wealthy nations like the U.S. and France. The story of these relationships is one of neoliberal imperialism. For by no means is it only Haiti that is poor and getting poorer, and that can’t satisfactorily protect its own people against natural or human-made disasters. Several other Western Hemisphere nations face similar things, although Haiti is the poorest by far. Most sub-Saharan African nations are in the same boat, as are some of the poorest Asian nations. There is not space in this article to review the whole history of U.S. and French intervention in Haiti. This publication has brought you that story in detail before. Suffice it to say, however, that there has never been a period in which the Haitians have been allowed to run their own affairs unmolested by wealthy and powerful outsiders. And whenever Haiti seems to be moving in the direction of choosing a government that expresses the will of the people and is likely to try, at least, to respond to their needs, there is intervention of one kind or another. This may take the form of direct intervention or conniving with electoral fraud. People in and out of Haiti complain about inept and corrupt governments there, but we have to recognize that in many instances those governments have been installed by the United States and other wealthy powers which have seen the coming to power of any other kind of government as a threat. In terms of the economic situation, the role assigned to Haiti in the imperial scheme of things is as a reservoir of cheap labor for runaway shops and as a dumping ground for taxpayer subsidized agricultural products from the United States under neoliberal trade agreements that are highly unfavorable to poor people in poor countries. The United States, France, and other wealthy countries have pressured recent Haitian governments not to raise the minimum wage because supposedly this will discourage foreign investment, i.e. the moving of production out of the rich countries into Haiti, whose attraction for the monopolies is precisely low wages, poor labor and environmental standards, and lax business regulation. One impact of these policies has been to severely damage the Haitian farm economy, because farmers could not compete with the rice imports. Even President Bill Clinton later admitted that Haiti had been harmed by this policy, but the policy itself has not changed. How the latest hurricane will affect Haiti’s political future is yet to be seen. Long-delayed presidential elections had been scheduled for Sunday October 9, but have now been postponed, without a new date being set.